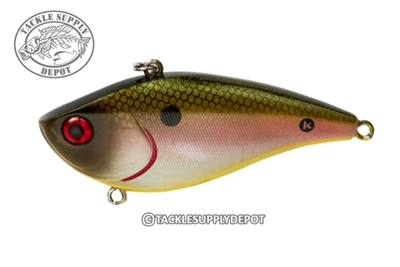 The new Booyah Bait Co. One Knocker lipless crank bait features top-of-the-line, cutting edge color patterns, an aerodynamic shape that casts a mile and top-quality components at an affordable price to all. The One Knocker sets itself apart from the crowd thanks to the single oversized tungsten internal rattle that produces a thump unlike any other rattle bait out there. When fish are not in the mood for those multi-ball rattling baits the One Knocker sound can provide an edge and capitalize on those strikes that others are missing. Rig up the Hard Knocker and One Knocker on the boat deck for the ultimate one two punch and to be ready for all conditions.